"May the stars carry your sadness away. May the flowers fill your heart with beauty. May hope forever wipe away your tears. And, above all, may silence make you strong." 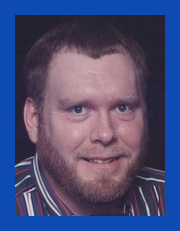 Mark Allen Chambers was born December 25, 1964 in Afton, OK to Gary Max Chambers and Patricia Ann Peacock and passed away March 28, 2011 in Cushing, OK. Mark was raised in Edmond and Wellston graduating from Wellston High School in 1983 later attending UCO. As a youth Mark particiapated in various sports and attended vo-tech where he focused on carpentry. He was employed most of his adult life as a truck driver, driving for Borden, Farm Fresh, Sygma and MFA Propane. He was a member of the Seneca-Cayuga Tribe of Oklahoma. Mark was preceded in death by his parents; grandparents, Elmer and Georgia Peacock and A.L. and Freda Chambers. He is survived by his son, Andrew Thomas Chambers; girlfriend Barbara Jeter; sister, Trisha Foster; and many aunts, uncles, cousins, nieces and nephews. A Graveside Funeral will be held at 2:00 p.m. Friday April 1, 2011 at the Wyandotte Cemetery in Wyandotte, OK under the direction of Lehman Funeral Home, Wellston. The family would like to welcome friends to visit at the funeral home Thursday from 6:00 to 8:00 p.m.